The town is typically Tunisian in style with arcaded white-washed buildings beneath shady palms and a smattering of historic buildings with Arabic influences. The port is the main centre of the local economy, as it has been since Roman and Phoenician times. 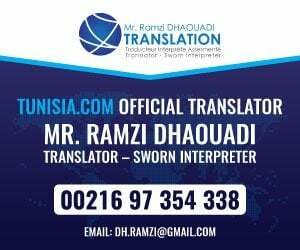 Surrounding the town are endless acres of olive and palm groves.For tourism, Zarzis is overshadowed by nearby Djerba, a huge tourist destination with more to offer, reached by a short causeway. Zarzis was popular with the French military for R&R during the time of the protectorate, but now the beaches have mainly local interest. Some tourist development has been attempted a few kilometres north of the town, towards Djerba, where some reasonable hotels can be found right on the beach. The town of 71,000 residents is at its most lively on Mondays and Fridays when the large market brings many people into town. Other main attractions are the Soltana Residence, the Tunesien Zarzis with its striking towers and the synagogue. Zarzis makes an excellent base for visiting Djerba or exploring the Sahara on 4×4 trips or on camels with local guides. 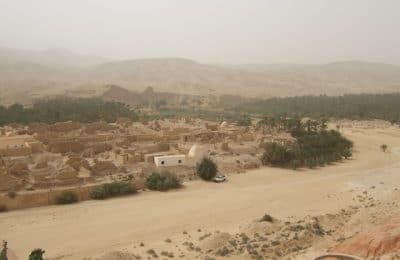 The troglodyte village of Matmata and the Berber community at Chenini are unique opportunities to see a different way of life in south Tunisia. The Djerba-Zarzis (DJE) International Airport is conveniently close for tourists visiting this area. By road, Zarzis is easily reached from the main coastal P1. Take the C118 from Medenine for 60km northeast to reach the coast and the town of Zarzis. There are local buses and shared taxis which run along this route, but no railway. The bus station is close to the port. Zarzis has a good choice of budget and middle class hotels which offer comfort rather than luxury. 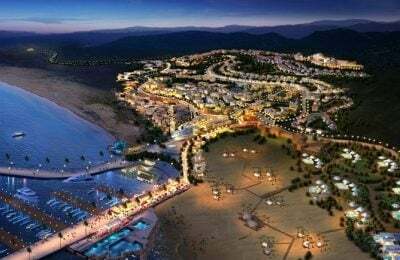 There are some three star hotels in the town centre and more at the aforementioned tourist zone a few kilometres north, right on the beach. Odyssee Resort Thalasso & Spa Oriental, Sangho Hotel, Oamarit hotel, Zephir and hotel Zita are the most popular options. There are plenty of good places to eat Zarzis, from cheap snacks to good upmarket restaurants. There are a few bars in the town and people stroll the streets in the evening but no dancing or real nightlife as such. Zarzis has a good climate for tourism all year round. The Mediterranean climate gives long hot summers tempered by the sea breezes, and mild showery winters. Average temperatures are 23C (73F) in April and 33C (92F) in August. There are plenty of banks, ATMs and currency exchange facilities in the larger tourist hotels. Getting around the town is easy on foot. Use local buses or shared taxis (louages) to explore the nearby coastal villages.